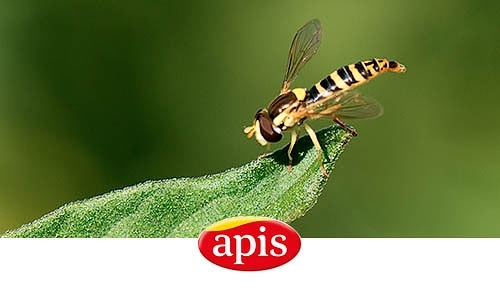 "Important development of biodiversity in the area"
At the beginning of July, the Apis company, based in Montijo (Extremadura), announced that it has extended its collaboration agreement with the ACOPAEX cooperative as well as with agro-technology operator Syngenta in order to improve the biodiversity of its crops in the context of the "Pollinator Operation", a sustainable and responsible agriculture project. This program involves setting up specific zones in the crop fields where pollinating insects and other arthropods can find shelter and food. These zones will not only encourage the development of populations of pollinators, but will also lead to a greater biodiversity in terms of insects and small mammals. In the case of processing tomatoes, this project has a mid- to long-term reach. Results from the first year of monitoring and control of pollinating species and of auxiliary fauna in one of the fields has shown "an important development of biodiversity in the area". Among the pollinating insects found in the surrounding hedges, several different species of hymenoptera (bee family) have been identified. Of particular note among the auxiliary insects identified, adults of the syrphidae family (hoverflies) are pollinators of many plants, both wild and agricultural crops, and their larvae feed on aphids, small moth larvae and a number of pest insects that can badly affect crops on a large scale. On this point, the expert entomologist in charge of the project has explained that the hedges and uncultivated areas are seeded with indigenous species of flowers that have already been studied, evaluated and selected "as being attractive to pollinating insects and predators of the main insect pests that damage crops [of processing tomatoes]." The aim is to "create biodiversity reservoirs where these desirable species can proliferate and improve the quality of pollination, which in turn will increase the quality of the fruit and the productivity of crops." According to APIS General Director Anselmo Motero, "the joint objective is to promote sustainable good practices in terms of biodiversity for the extensive and intensive tomato crops of Extremadura. [... It is necessary for] our farmers to understand the advantages of this kind of initiative, not only for the environment, but also in terms of crop quality and productivity." Thanks to the extension of this agreement, Extremadura's food industry is 100% in line with Syngenta's worldwide commitment to food safety and agricultural sustainability, which has been dubbed "The Good Growth", fitting in with one of the companies stated principles: "offering national markets healthier products by respecting the environment and contributing to sustainable production."